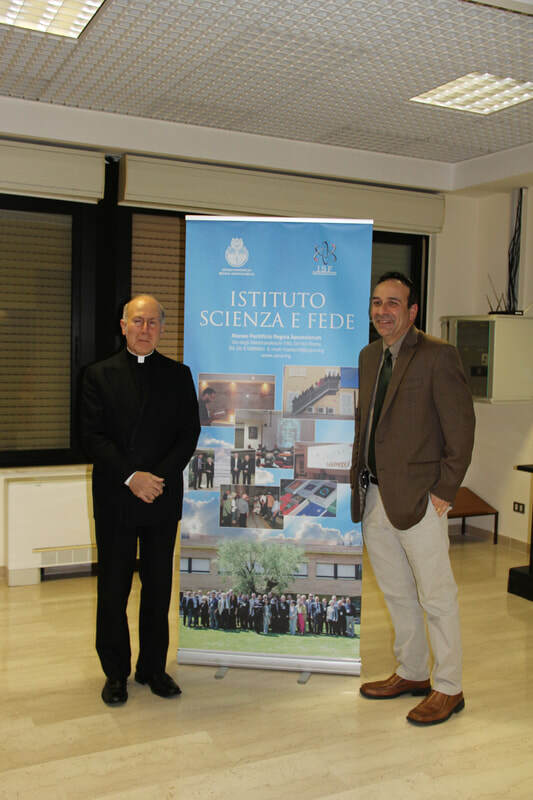 An additional event Bill Lauto will be attending while in Rome is by invitation from Father Robert Blyman, MD who is both a medical doctor and psychiatrist at the North American College in Rome. After Sunday mass, a brunch with the seminarians will host conversations on sharing realistic sustainable solutions not only for our own families, friends, and workplaces, but also for the world's environment. Bill Lauto, ​our publisher and editor, will be speaking in Rome on Sustainable Living & Pope Francis' Encyclical Laudato si' at 17:10 to 18:40. The lecture will address sustainability as a moral responsibility and how everything is interconnected. Multiple solutions will be presented for each of us to implement as an individuals and to maintain a better stewardship toward Earth, which is a gift from God. ​Interconnecting elements has Humankind facing several environmental issues, not just Climate Change. Pope Francis' Encyclical Laudato si' has complete significances toward the matter of Climate Change because the entire situation is presented. Not just some fragments like those presented by individuals who wish to create controversy, make money or protect money. 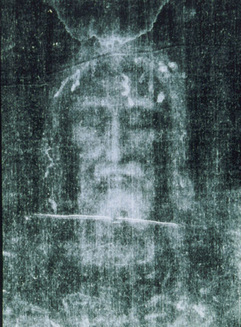 35 Years of Shroud Science: Showing the Shroud of Turin is 2,000 years old. Form October 21 to the 24th of 2016, Barrie Schwortz will be presenting around the New York area. This return visit after the successful presentation at St. John's University in February two years prior, is greatly expanded. BBV Publishing is helping to Host Mr. Schwortz at several events throughout the New York area where Mr. Schwortz will be speaking about the new scientific data and information available on the flawed 1988 Carbon Dating test. These presentations, meetings, conferences, and lectures were arranged by BBV Publishing. Sponsorship for these programs were also provided by: St. John’s University Department of Art and Design, Campus Ministry, Department of Theology, and the Vincentian Center for Church and Society. Our Lady of Mercy Church and their Holy Name Society. Also Saint Rita's RC Church and their anonymous donors. Reservations are required since seating is limited at all venues. From this collaboration, this Special Event was arranged. Shroud.com is the largest, oldest and most in-depth archive of Shroud material on the internet. Bill Lauto, ​our publisher and editor, will be speaking at the Association of Environmental Studies and Scientist National Conference held at American University in Washington DC. At the conference, he will be presenting a 3 hour workshop on Living a Sustainable Life. The presentation will be held on June 8, 2016, 9:00a.m. to 12:00p.m. in the Ward Circle building. 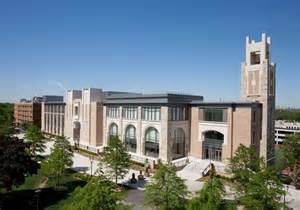 Bill Lauto, ​our publisher and editor, will be attending the Poverty Conference held at St. John's University this Saturday, January 30, 2016. While attending the conference, he will promoting the Going True Green: Live a Sustainable Life seminar on behalf of the Vincentian Center for Church and Society. That seminar will be held on February 11, 2016, 2:00p.m. to 3:15 p.m. in the Ozanam Lounge at St. Vincent Hall, Queens campus. Bill Lauto, our publisher and editor, of the historical novel Upper Room, The Way: 33AD to 57AD by L. J. Williams will be lecturing at Our Lady of Mercy in April. This presentation and lecture will cover three topics. First: Introduction to Barrie Schwortz coming to lecture in September of 2015. Second: Discussion of the real science behind the Shroud of Turin and not the surfeit of pseudo-science always presented by the media to keep a controversy alive solely for the purpose of making more money. Third: Discussion of the historical information that provided the premise for the historical novel Upper Room, The Way: 33AD to 57AD. All proceeds from the sale of this Historical Novel go to help the poor. Bill Lauto, our publisher and author of the Blog Going True Green (GTG) will be lecturing at Saint John's University in March. This presentation and lecture will cover three topics. First: The different sustainable energy sources known to man. Second: Personal choices we make each day to live a sustainable life and how surfeit greed causes a multitude of environmental and energy problems. Third: To evaluate the real scientific data on Global warming and not partake in the pseudo-science presented by the far left and the far right solely for the purpose of making money. Bill Lauto is an Environmental Scientist, International Sustainability Consultant, Patent & Trademark Holder. Mr. Lauto's goal is to teach individuals, families and businesses how to achieve the deepest green color possible by becoming educated and committed within their own budget of time and money. "Only then can we say that we didn't squander our children's tomorrow on this planet we call Earth," is routinely stated by Mr. Lauto. This presentation and lecture was arranged by BBV Publishing. Sponsorship for this program is also provided by BBV Publishing along with: St. John’s University Department of Art and Design, Campus Ministry, Department of Theology, and the Vincentian Center for Church and Society.